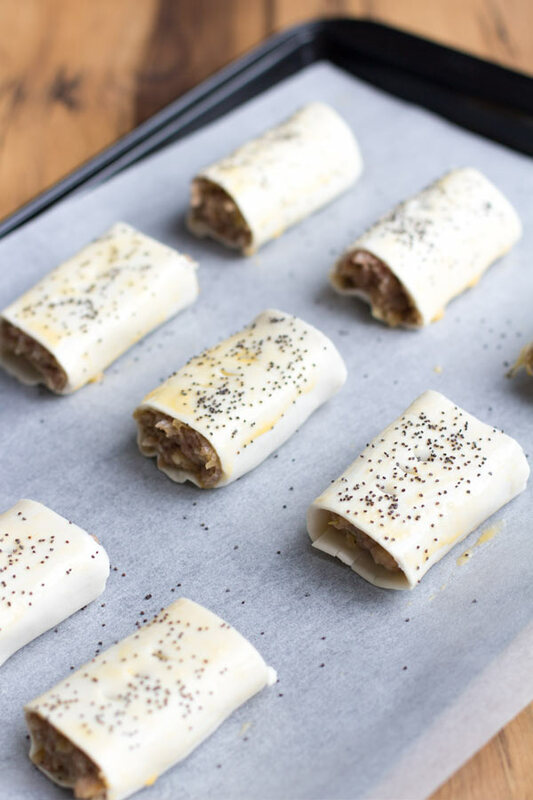 There’s nothing better than homemade sausage rolls, and these homemade Caramelised Apple and Fennel Pork Sausage Rolls are so tasty I bet you can’t just eat one! 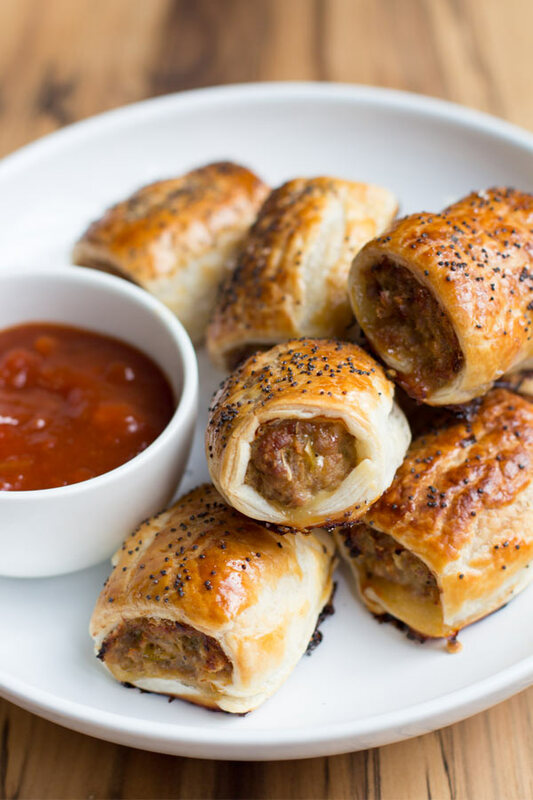 Sausage rolls are popular all year round here in Australia, especially as a casual snack at a party due to their quick and easy to make reputation. In recent years sausage rolls have got somewhat of a bad name, due to the mass produced versions you find in supermarkets with zero flavour and zero nutrition. 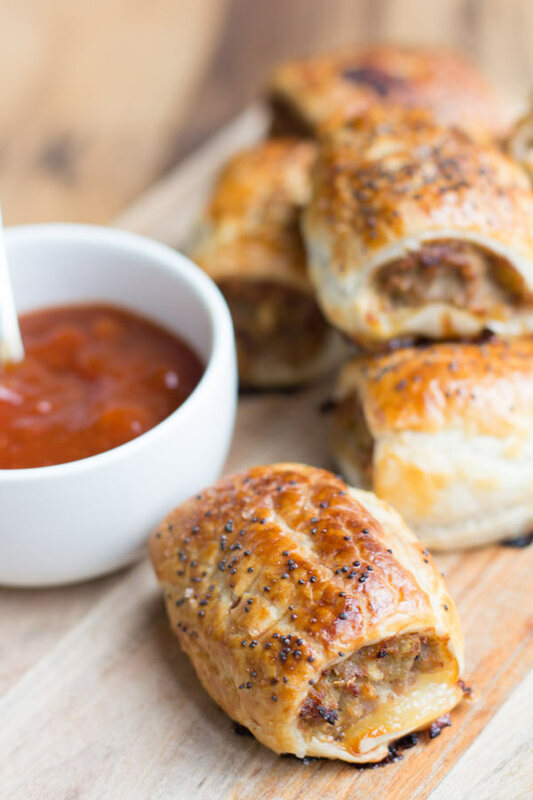 As with most things when making your own sausage rolls, using high-quality ingredients returns this classic to their flavoursome best. The sweet caramelised apple and fennel spice, mixed with pork – combines to give a sweet, juicy, slightly spicy pork filling that’s wrapped in a buttery, flaky puff pastry goodness. It’s the small touches that make this recipe great, caramelising the apple takes these sausage rolls to a whole new level, which is bordering on gourmet. If you have time you can make these sausage rolls with homemade puff pastry, instead of store bought, but as we were short on time we went with store bought puff pastry. 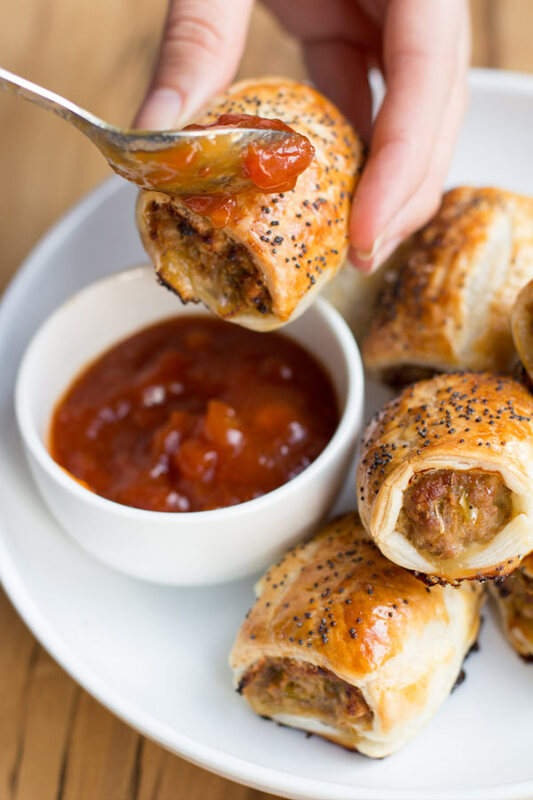 We like to serve our homemade Caramelised Apple and Fennel Pork Sausage Rolls with Beerenberg Tomato Chutney a gourmet chutney we discovered when in South Australia. If you have time making some from scratch is also an option, but to be honest you can eat them without any kind of dipping sauce. Too much sauce can take away from the delicious apple, fennel and pork filling. 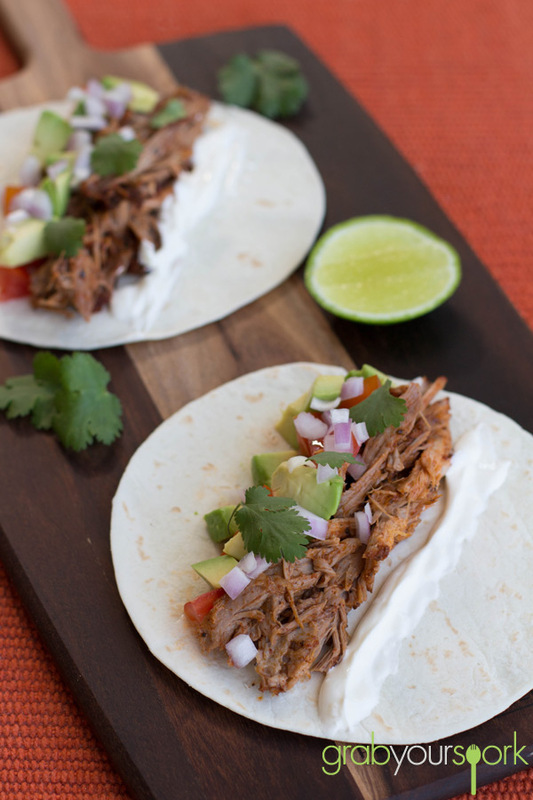 If you’re looking for other pork recipes, then check out our pulled pork tacos recipe or Asian BBQ pork ribs. 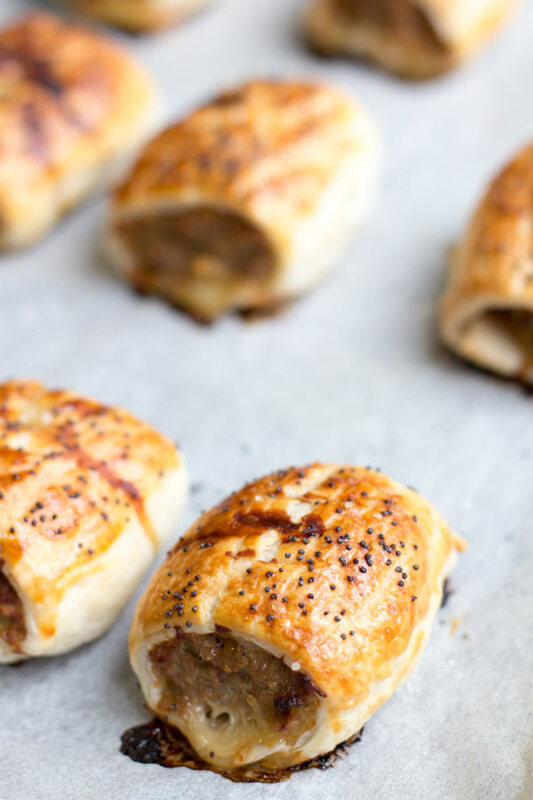 There's nothing better than homemade sausage rolls, and these homemade Caramelised Apple and Fennel Pork Sausage Rolls are so tasty I bet you can’t just eat one! Heat 2 tbsp of butter in a nonstick pan. When melted, add the onions and apple and saute over medium heat until the mixture starts to turn golden brown, about 10 minutes. Add the brown sugar, apple cider and salt and cook for another 5-10 minutes until the liquid is reduced and the apples have caramelised. Set aside to cool slightly. Preheat oven to 180°C. Line a baking tray with baking paper. 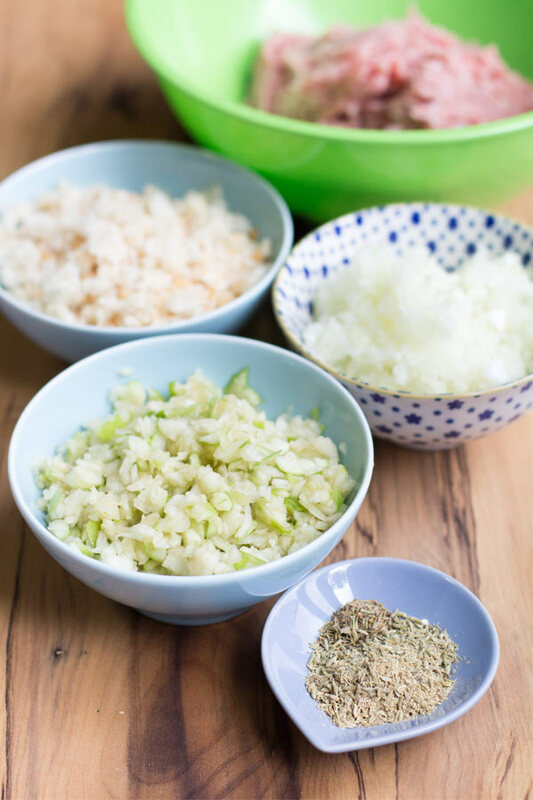 In a bowl, place the pork mince, breadcrumbs, garlic, herbs, egg then add the cooled caramelised apple mixture and salt and pepper to season. 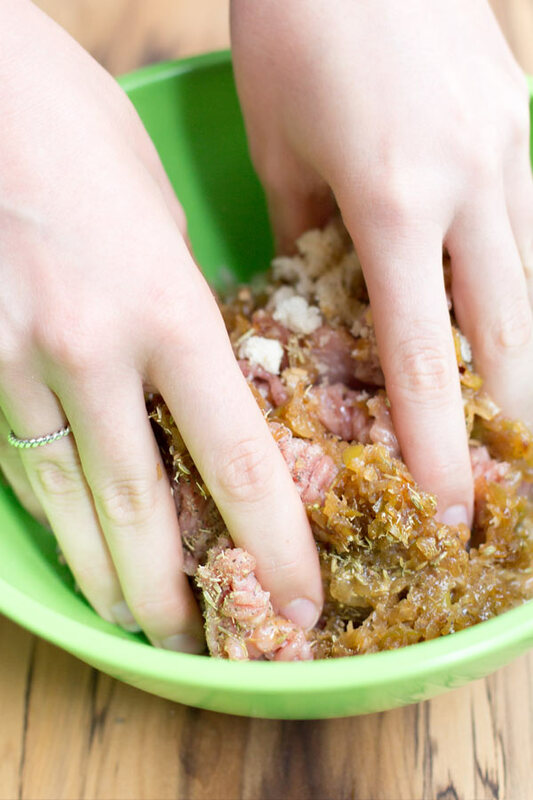 Mix with your hands or a spoon, until everything is mixed through well. Divide the mix into four portions. Place one puff pastry sheet on your bench and cut it in half, so you have two 9 x 4.5 inch rectangles. Take a single portion of the sausage filling and while leaving a 1 cm margin, place the filling along one long edge of the puff pastry rectangle, evenly. 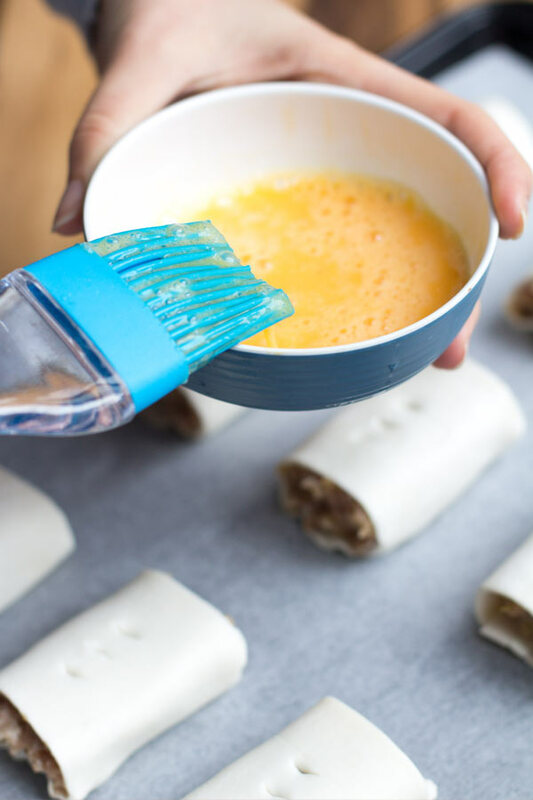 Brush both long edges with some egg wash, and carefully roll up the pastry sheet with the sausage filling, until the ends overlap by about 1 cm. Gently pinch the two ends together to create a seal. Place the seam side down, and cut this roll into 4 equal parts (with a back and forth motion using a serrated knife so that you cut evenly and smoothly). Place the 4 sausage rolls on the baking tray, slightly apart. Repeat with the remaining puff pastry sheet to make 16 sausage rolls in total. Using a small sharp knife, make two slits on the top of each sausage roll. Brush the tops generously with egg wash and sprinkle some salt and poppy seeds (optional). Bake in the oven for 15 minutes, and then increase the heat to 190°C and bake for a further 30 minutes or until they are golden brown. Take out of the oven, allow them to rest for a few minutes, and serve while warm. After Brooke’s recent purchase of a slow cooker, she was determined to make anything that meant she got to use it. With my subtle suggestion of pulled pork, it was a done deal and we were having pulled pork tacos for a late lunch! 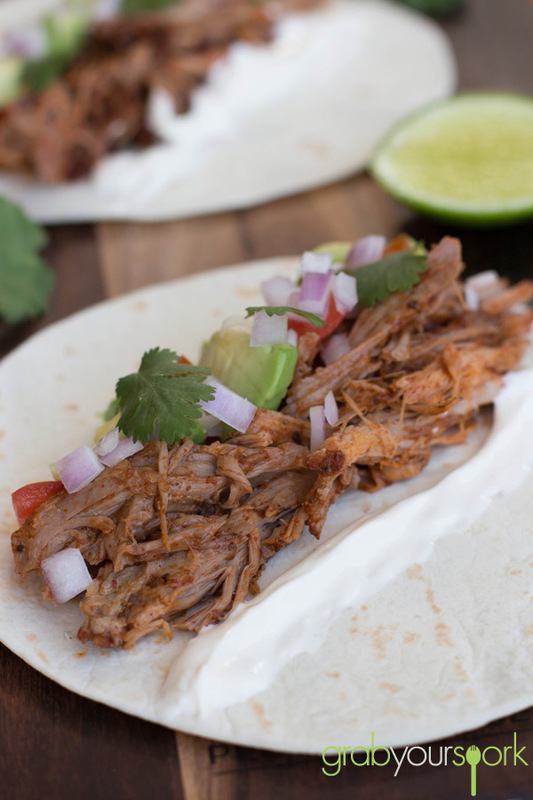 There are many variations to pulled pork and we may have gone down a more southern style, but it still worked in taco’s given the various spices this recipe uses. If you are willing to wait for the meat to cook, this recipe really is one of the easiest things to make – and with the slow cooker makes it even easier! We bought all the ingredients the night before so we could make the pork first thing in the morning. To start you need to make a simple spice rub, and a BBQ sauce (both require similar ingredients). 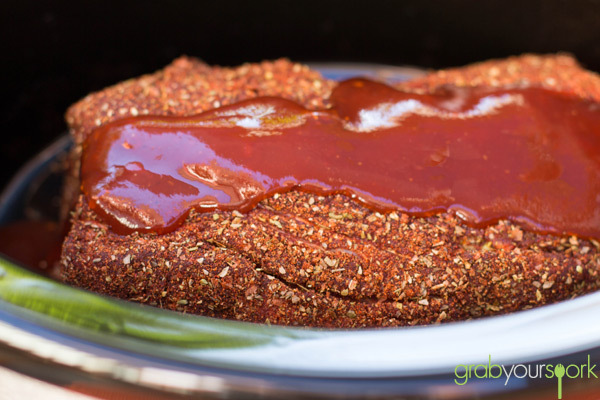 Once you have made your spice rub, simply roll the meat in the rub and place it in the cooker with half the BBQ sauce. We wanted the pork ready in time for a late lunch, so cooked the pork on a higher temperature for a shorter time (still a solid 5 hours). The beauty of the slow cooker is you can leave the meat to cook, while you can leave the house. While the pork cooked, we headed off to the markets for some fresh ingredients to top off our pulled pork tacos. When we returned, the house was full of of delicious aromas and the meat was perfectly cooked. All that was left to do was simply pull the pork apart (which really just fell apart it was so tender), and dress with the remaining sauce. We served our pork with tortillas, fresh avocado, tomato, onion, coriander and sour cream. This is definitely a recipe I will be wanting again! Yummo! If your looking for other Mexican recipes to accompany the pulled pork tacos then check out our simple guacamole recipe or tomato salsa recipe. Pulled pork tacos with fresh avocado, tomato, onion, coriander and sour cream. 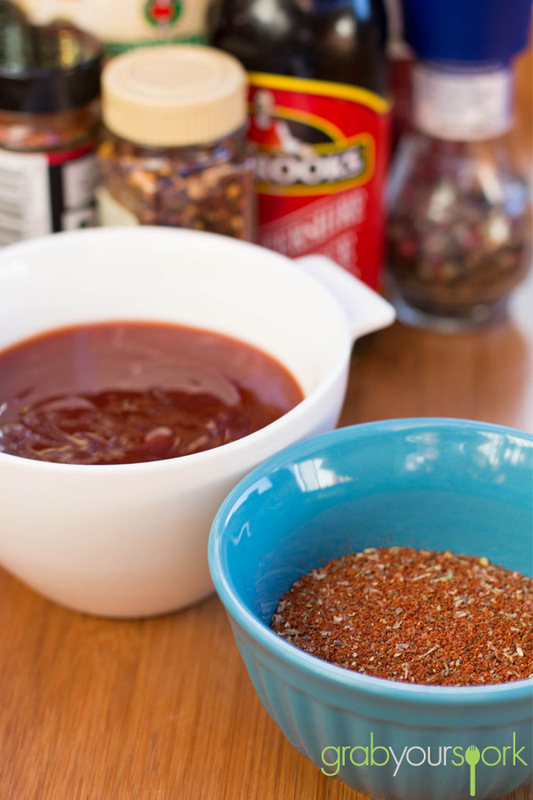 For the BBQ sauce: Combine the ketchup, brown sugar, vinegar, Worcestershire, cayenne, red pepper flakes and salt and black pepper in a small bowl. For the spice rub: Combine the paprika, oregano, black pepper, brown sugar, salt and cayenne in a medium bowl and toss with your fingers to mix. Rub the spice mixture onto the pork on all sides. Place the pork in a slow cooker insert. Add ½ cup BBQ sauce and cover the slow cooker. Cook on high until the pork is fork-tender, 4 to 5 hours, or on low, 8 to 10 hours. 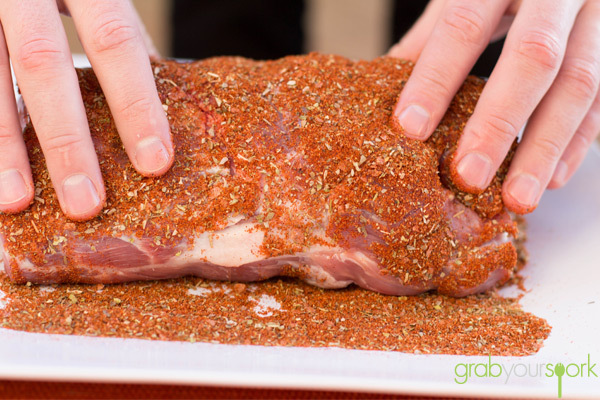 Transfer the pork to a carving board. Let the pork stand, about 5 minutes. Meanwhile add 2 tablespoons of the simmering pork liquids to the remaining BBQ sauce. Bring the BBQ sauce to a simmer in a small saucepan over low heat, about 10 minutes. Using two forks, shred the pork and discard any excess fat. Heap the pork onto the buns and top with extra BBQ sauce.